Coming your way to Penn Social on Valentine's Day 2019! Join us for an epically inappropriate trivia that will have both the middle school and adult version of your self howling with laughter. Great for singles, couples, groups of friends - anyone who wants to really enjoy Valentine's Day. Get your tickets HERE. 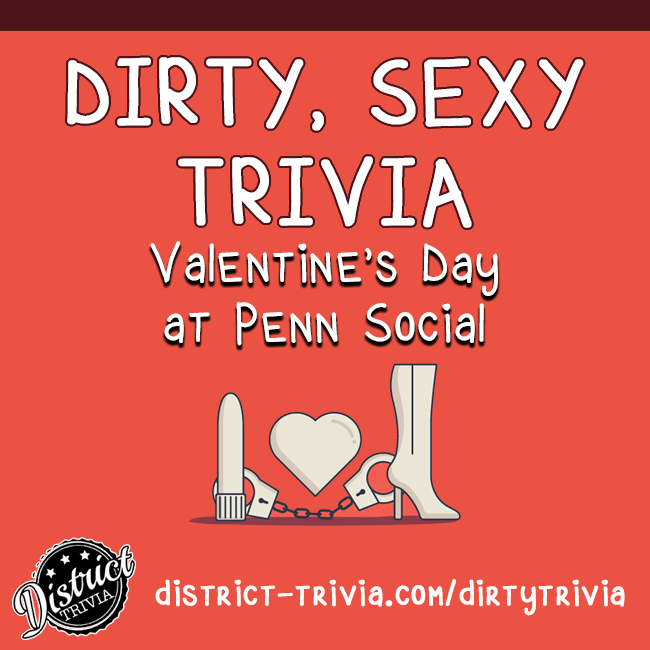 Trivia will be held on Thursday, February 14th at Penn Social. Registration begins at 6:30pm, with trivia starting at 7:30pm. We'll use our normal format, but all the questions will be themed. We'll also have great prizes from CarpeDM! Have questions? Check out our Frequently Asked Questions. Get your tickets before we sell out.